An interview to Mequitta Ahuja has been published on Kadenze magazine. 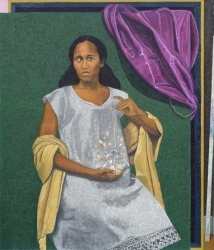 Solo exhibition Angel Otero: Elegies at Bronx Museum, New York, NY. 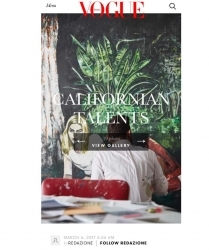 An interview to José Parlá about his current solo show at our gallery has been published on Mousse Magazine. Ori Gersht in the group exhibition Chambres à Part 13 - Parfumes des Femmes at Le Grand Musée du Parfum, Paris, FR. 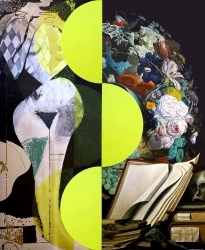 Other artists: Marina Abramović, Sylvie Fleury, Horst P. Horst, Robert Mapplethorpe, Marc Quinn, Claire Tabouret, etc. 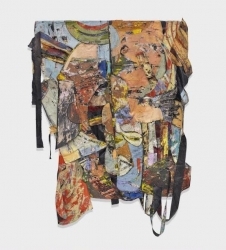 Shinique Smith in the group exhibition Magnetics Fields: Expanding American Abstraction, 1960 to Today at National Museum of Women in the Arts, Washington D.C. Other artists: Abigail DeVille, Howardena Pindell, Alma Thomas, Brenna Youngblood, etc. 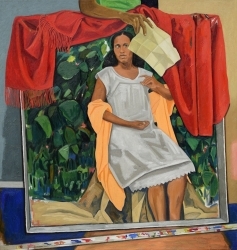 Shinique Smith in the group exhibition Solidary & Solitary: The Pamela J. Joyner & Alfred J. Giuffrida Collection at Ogden Museum of Southern Art, New Orleans, LA. 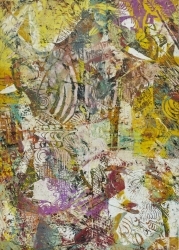 Other artists: Mark Bradford, Leonardo Drew, Sam Gilliam, Glenn Ligon, Jack Whitten, Lynette Yiadom-Boakye, etc. 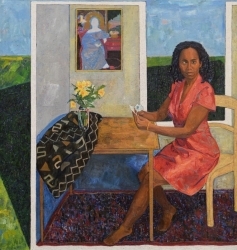 Solo exhibition Meaningful Fiction and the Tradition: The Art of Mequitta Ahuja at Sonja Haynes Stone Center for Black Culture and History at The Roberts & Sallie Brown Gallery & Museum, The University of North Carolina at Chapel Hill, Chapel Hill, NC. Ori Gersht in the group exhibition Nature Morte at Guidhall Art Gallery, London, UK. An article about the Bosco Sodi's public installation Muro in New York is featured on El Pais. 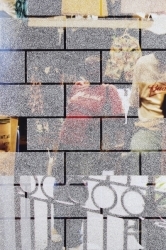 An article about Bosco Sodi's public installation Muro in New Yorkis featured on W Magazine. 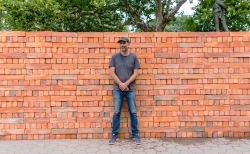 Bosco Sodi talk about his public installation Muro in New York on Artforum. 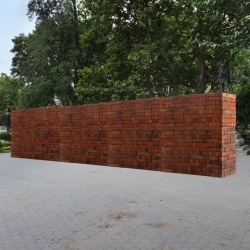 An article about Bosco Sodi installation's Muro in New York is featured on The Art Newspaper. 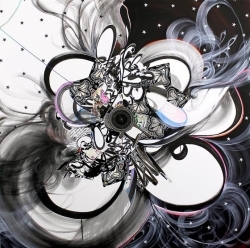 We're pleased to announce the representation of the American artist Mequitta Ahuja. Shinique Smith in the group exhibition Artists As Innovators: Celebrating Three Decades of New York State Council of the Arts at Samuel Dorsky Museum of Art, New York, NY. 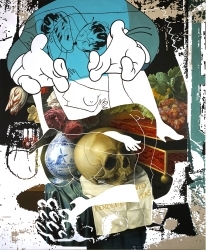 Others artists: Sanford Biggers, Ross Bleckner, Carroll Dunham, Barbara Kruger, Christian Marclay, Marilyn Minter, Tony Oursler, Martha Rosler, Andres Serrano, etc. 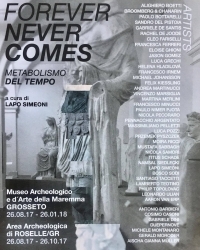 Bosco Sodi in the group exhibition Forever Never Comes, metabolism of times, curated by Lapo Simeoni at Museo Archeologico e d'Arte della Maremma, Grosseto, IT. 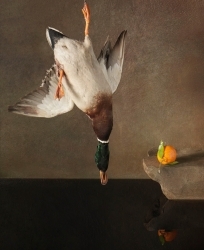 Other artists: Alighiero Boetti, Gabriele de Santis, Rachel de Joode, Prezemek Pyszeczek, Nicola Samori', etc. Paul Anthony Smith is featured in the article How to Embed a Shout: A New Generation of Black Artists Contendes with Abstraction on Hyperallergic magazine. Josh Reames in the group exhibition Unobstructed Views at MOCAD Museum of Contemporary Art Detroit - Library Street Collective, Detroit, MI. 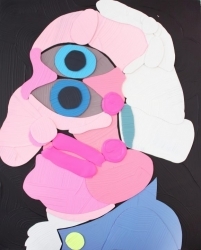 Other artists: Nina Chanel Abney, Derrick Adams, Katherine Bernhardt, Sanford Biggers, KAWS, Mike Kelley, Austin Lee, Scott Reeder, Spencer Sweeney, etc. 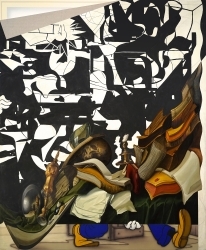 José Lerma in the group exhibition American Genre: Contemporary Painting, curated by Michelle Grabner at Institute of Contemporary Art at Maine College of Art, Portland, ME. 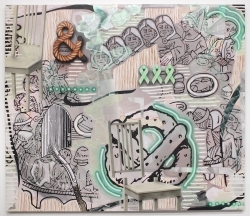 Other artists: Dan Attoe, Gina Beavers, Brian Calvin, Ann Craven, Shara Hughes, Aliza Nisenbaum, Tyson Reeder, Spencer Sweeney, Henry Taylor, Kehinde Wiley, etc. 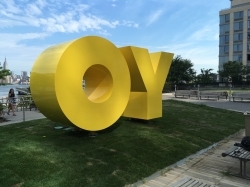 We’re proud to announce the return of the monumental sculpture "OY/YO" by Deborah Kass along the Williamsburg waterfront situated at the North 5th Street Pier and Park. First presented in Brooklyn Bridge Park in December 2015, the sculpture will open starting July 11th and remain on view in Williamsburg until July 2018. 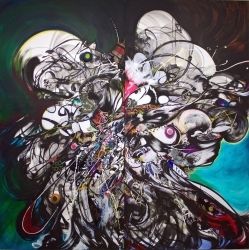 José Parlá in the group exhibition Victors for Art: Michigan's Alumni Collectors-Part II: Abstraction at UMMA University of Michigan Museum of Art, Ann Arbor, MI. Other artists: Christo, Alberto Giacometti, Louise Nevelson, Pablo Picasso, Lorna Simpson, Do Ho Suh, etc. 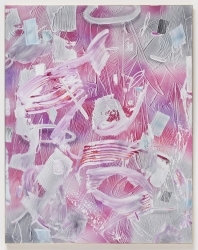 Matt Hansel is featured in the article "The Curators' Eggs" at Paul Kasmin Gallery, New York on Blouin Artinfo. 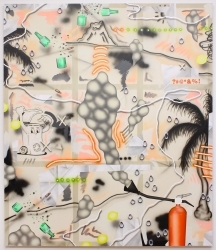 Caroline Wells Chandrel, Matt Hansel & Jeffrey Gibson are featured in the article The 30 Hottest Group Shows to See in New York This Summer on Artnet. 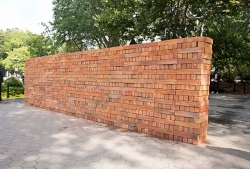 An article about the Bosco Sodi's public installation's Muro in New York is featured on The New York Times. 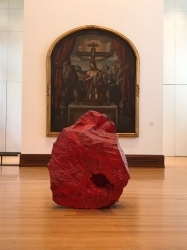 Solo exhibition Por los siglos de los siglos by Bosco Sodi at Museo Nacional de Arte, Mexico City, MX. 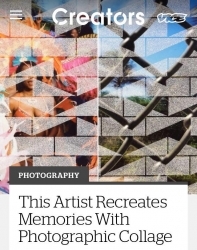 An article about Paul Anthony Smith titled This Artist Recreates Memories from Photographic Collages is featured on Creators magazine. Deborah Kass in the group exhibition Pride of Place: The Making of Contemporary Art in New Orleans at NOMA New Orleans Museum of Art, New Orleans, LA. Matt Hansel is featured on Arcademi. 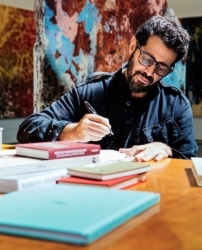 We're pleased to announce the representation of the Cuban-American artist José Parlá. A “spotlight” on Matt Hansel is featured on BOOOOOOOM magazine. Angel Otero and Bosco Sodi in the group exhibition Art Goes Logomo at Logomo Art Center Turku, FI. 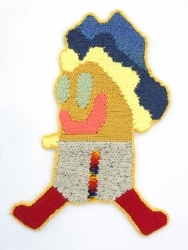 Caroline Wells Chandler in the group exhibition Maker, Maker, curated by Renée Riccardo and Paul Laster at CMA Children's Museum of the Arts, New York, NY. Other artists: Derrick Adams, Sandford Biggers, Brad Kahlhamer, Jason Middlebrook, etc. 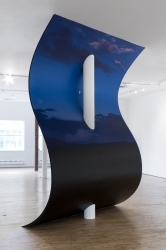 Shinique Smith in the group exhibition Magnetics Fields: Expanding American Abstraction, 1960 to Today at Kemper Museum of Contemporary Art, Kansas City, MO. 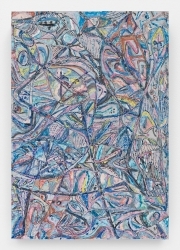 Other artists: Abigail DeVille, Howardena Pindell, Alma Thomas, Brenna Youngblood, etc. 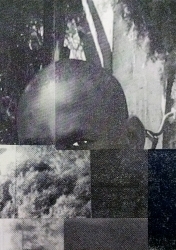 Matt Hansel in the group exhibition The Times at The Flag Art Foundation, New York, NY. 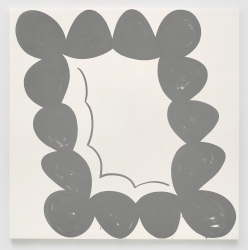 Other artists: Robert Gober, Felix Gonzalez Torres, On Kawara, Ellsworth Kelly, Sean Landers, Dashiell Manley, Aliza Nisenbaum, Richard Prince, Rirkrit Tiravanija, Fred Tomaselli, etc. 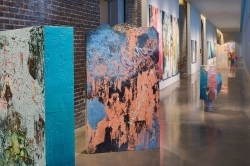 Solo exhibition Roots by José Parlá at SCAD Museum of Art, Savannah, GA.
Amy Feldman in the group exhibition nonObjectives at Sheldon Museum, Lincoln, NE. 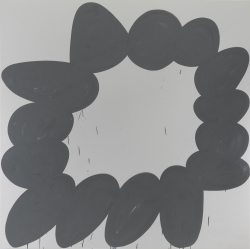 Other artists: Richard Diebenkorn, Peter Halley, Carmen Herrera, Sean Scully, Frank Stella, etc. 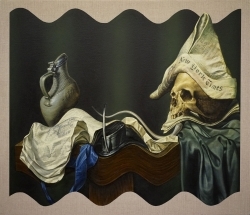 We're pleased to announce the representation of the American artist Matt Hansel. 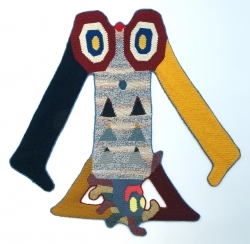 We're pleased to announce that Deborah Kass' work Camouflage Self Portrait has been acquired by NOMA New Orleans Museum of Art, New Orleans, LA. 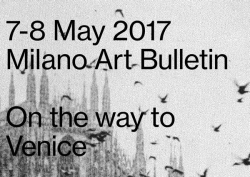 A two-day event on Sunday, May 7 and Monday, May 8, ideally timed just before the professional preview of the 57th Venice Art Biennale, dedicated to collectors, museum directors, professionals and the art public, features a program of special viewings, openings, and exhibitions of great impact. Letha Wilson in the group exhibition In the Abstract at MASS Moca, North Adams, MA. 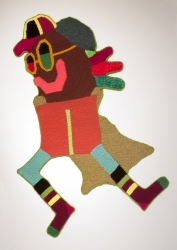 Other artists: Sarah Braman, Rosy Keyser, Eric N. Mack, Rodney McMillian, Matt Saunders, Brenna Youngblood, etc. 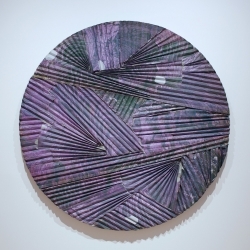 Paul Anthony Smith in the group exhibition RAGGA NYC at New Museum, New York, NY. 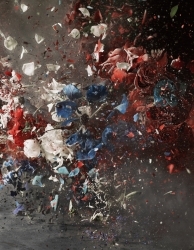 Guggenheim Museum has released a documentary about the studio practice of Ori Gersht. We're pleased to announce that Deborah Kass' work An American Man, Arthur G. Rosen has been acquired by The Jewish Museum, New York, NY. 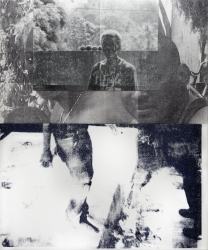 We're pleased to announce the representation of the Jamaican artist Paul Anthony Smith. Ry David Bradley in the group exhibition Watching Windows at Te Uru Waitakere Contemporary Art Gallery, Aukland, NZ. 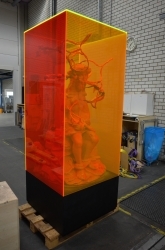 Solo exhibition Weird Science by Folkert de Jong at GEM Museum Voor Actuele Kunst, Den Haag, NL. 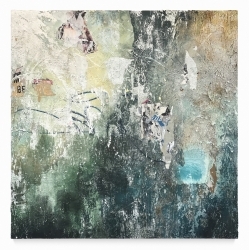 Solo exhibition Walls Without Borders by Paul Antony Smith at Atlanta Contemporary, Atlanta, GA.
An article about Josh Reames is featured on ThoughMatter. 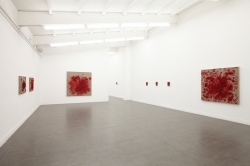 Our current solo show by Bosco Sodi is featured on Mousse Magazine. Paul Anthony Smith on Alphasixty. 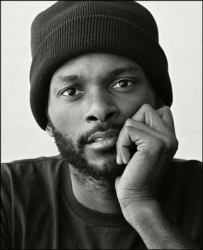 An article about Paul Anthony Smith is featured on Alphasixty. 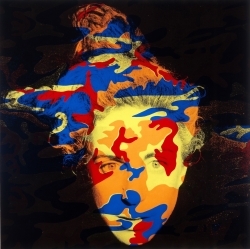 We're pleased to announce that Deborah Kass' works Camouflage Self Portrait (Tutti Frutti) and 4 Black Barbras has been acquired by the Brooklyn Museum, New York, NY. 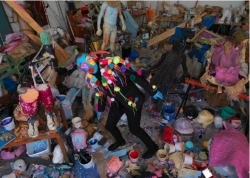 Johannes VanDerBeek is featured in the article Hidden Lights: Art-World Professionals Answer a Question – Who Are the Most Underrrated Artists Today? on ARTNEWS. Amy Feldman in the group exhibition Quicktime at Rosenwald-Wolf Gallery, The University of the Arts, Philadelphia, PA. Other artists: Marina Adams, Ann Craven, Patricia Treib, etc. Solo project “Strange Attractor for Agnes Martin” by Caroline Wells Chandler on the Window on Broad at Rosenwald-Wolf Gallery, The University of the Arts, Philadelphia, PA.
Paul Anthony Smith in the two-person show Interference (with Andre Bradley) at Philadelphia Photo Arts Center, Philadelphia, PA.
Raffi Kalenderian is featured in the article Californian Talents on VOGUE Italia. Public lecture "Optical Uncosciousness" by Ori Gersht at Stanford University, Stanford, CA. 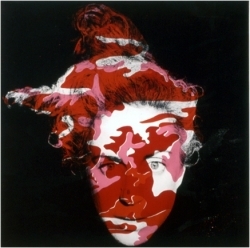 We're pleased to announce that Deborah Kass' work Camouflage Self Portrait (Red) has been acquired by LACMA Los Angeles County Museum, Los Angeles, CA. Solo exhibition José Lerma: La Venida Cansa Sin Ti at Kemper Museum of Contemporary Art, Kansas City, MO. 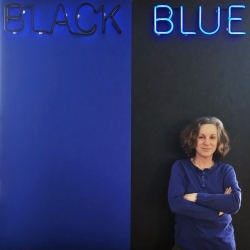 We're pleased that Deborah Kass has been honored by The Jewish Museum, New York. 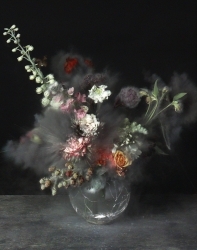 Ori Gersht in the group exhibition Nature Morte: Contemporary Artists reinvigorate the Still-Life tradition at The Four Domes Pavillon, Museum of Contemporary Art, Wroclaw, PL. 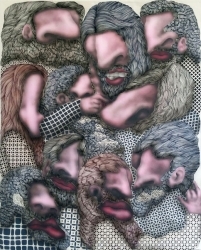 Other artists: Magdalena Abakanowicz, Matt Collishaw, Michael Craig-Martin, Gabriel Orozco, Marc Quinn, Jennifer Steinkamp, etc. 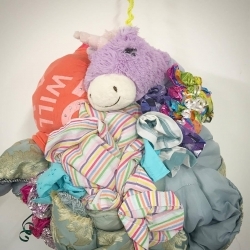 Letha Wilson in the group exhibition Light & Matter: The Photographic Object at Michener Art Museum, Doylestown, PA.
We're pleased to announce that Ryan Conrad Sawyer awared Fellowship from the Virginia Museum of Fine Art 2017-2018. 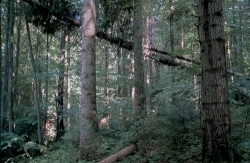 Ori Gersht in the group exhibition A Global Gathering:The 21c Collection at 21c Museum, Cincinnati, OH. 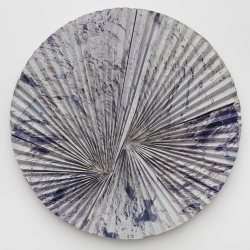 We're pleased to announce the representation of the American artist Caroline Wells Chandler. 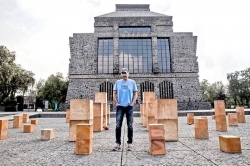 Solo show Bosco Sodi: Elemental, curated by Dakin Hart at Museo Anahuacalli, Mexico City, MX. 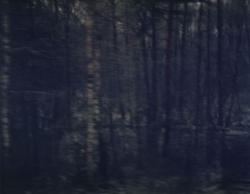 Ori Gersht in the group exhibition Burnered Landscape - From Kiefer to Ristelhueber at Fries Museum, Leeuwarden, NL. 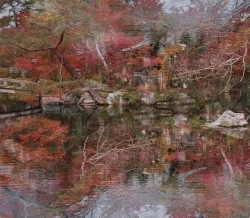 Ori Gersht in the group exhibition Prix Pictet - Disorder at Museum of Photographic Arts, San Diego, CA. 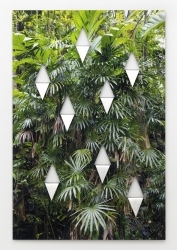 Solo exhibition Shinique Smith: Secret Garden Laughing Place at Sugar Hill Museum, New York, NY. 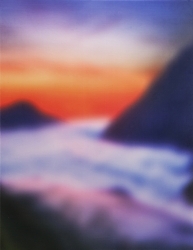 We're pleased to announce that the Ori Gersht's work White Noise, Untitled 06 has been acquired by The Getty Center, Los Angeles, CA. Our current show by Ori Gersht is featured on Domus magazine. 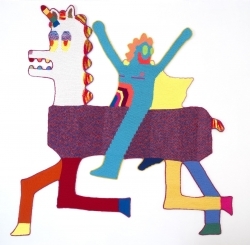 Folkert de Jong in the group exhibition Zoals Jij En Ik at Art Chapel, Amsterdam, NL. 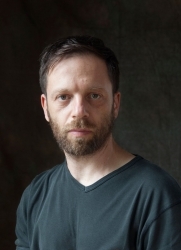 Joe Reihsen is featured on Arcademi. 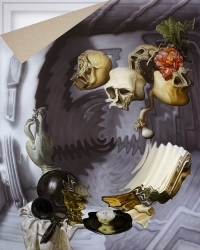 Solo show Letha Wilson: Shadows and Sunlights at Center for Contemporary Art and Culture at PNCA, Portland, OR.